Could Hawaii DUI Ruling Signal Changes in Other States’ DUI Laws? Have you been convicted of a Los Angeles DUI based on a breathalyzer test that you took only because you didn’t want to lose your license? You may be particularly interested in a recent decision by the Hawaii Supreme Court, which ruled that the state’s “implied consent” laws regarding BAC tests are unconstitutional. In the case of the State of Hawaii vs. Yong Shik Won, the justices found that officers had coerced Won into taking the test. He originally refused but changed his mind when police had him sign an implied consent form that stated under Hawaii law he must take a breathalyzer test or face 30 days in prison and a $1,000 fine. Won took the test, which resulted in his DUI conviction. With that ruling, the Hawaii Supreme Court not only voided Won’s conviction but also made it harder for authorities to get DUI convictions for other drivers accused of DUI based on BAC results. 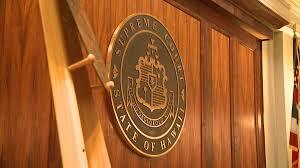 The online site Hawaii News Now said that the ruling could affect up to 3,000 DUI cases in the state. It also reported that Honolulu police are working with prosecutors to try to develop a new implied consent form that would comply with the court’s decision. While this decision does not affect California drivers—each state makes its own DUI laws—DUI defendants and their lawyers will be following any new developments in Hawaii or other states to see whether this becomes a trend in court rulings. Under Section 13353.1 of the California Vehicle Code, anyone who refuses to submit to a breathalyzer test or some other type of chemical test will automatically lose his or her license for one to three years. To understand what to do to fight back against your charges, call Los Angeles DUI defense lawyer, Michael Kraut of Kraut Law Group. As a former (and highly successful) Deputy District Attorney, Mr. Kraut has fought on behalf of defendants like you for nearly 20 years.